Every day is a fun day for LYA's tiniest treasures. But, once a month on Rosh Chodesh, the early childhood students celebrate each new Jewish month in a notable way. Wednesday was Rosh Chodesh Cheshvan and students enjoyed a special program that revolved around Noach's ark. Wearing raincoats, the children went outside and splashed with Noach's ark in the water table. They even blew it across the water using straws. Inside students decorated a movable teyva with animals and Noach. Children enjoyed participating during story time and acted out animal sounds. The students had an opportunity to become builders and together as a group they synergized to build an ark out of blocks. Upon completion, there was no time to rest, as there were many animals to take care of. 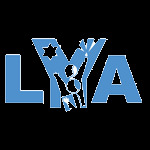 It is through special days like this that LYA's youngest stars are not only learning but experiencing their learning in a unique and everlasting way.